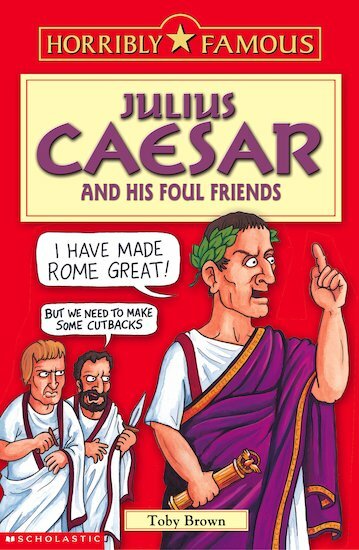 Poor old Roman emperor Julius was full of sick stunts… till he got backstabbed by his double-crossing buddy Brutus. What a foul way to get famous! Meet the Roman ruler who is horribly famous for: conquering loads of countries, going out with Queen Cleopatra, and having a bloodthirsty chum who assassinated him. But did you know that Caesar was once captured by pirates, had a special month named after him – and invaded his own home town?